We’ve partnered with Officer Sabrina King with the Chicago Alternative Policing Strategy (CAPS) to give away 150 frozen turkeys to 150 families in Englewood! Families are asked to RSVP in advance at sendrsvp.com/4719. Please complete and submit the RSVP form to let us know that you will be picking up a frozen turkey. The person listed first on the RSVP will be the designated person for your family to pick up your Turkey. You may also call 888-902-3011, ext. 4719 to RSVP. The season of thankfulness and giving is just around the corner. That is why at Glen Lerner Injury Attorneys, we want to help spread the bounty by giving away 1,100 turkeys and fixings to 1,100 Chicago families! Families are asked to RSVP in advance at sendrsvp.com/9133. Please complete and submit the RSVP form to let us know you will be attending and picking up a Thanksgiving basket. The person listed on the RSVP will be the designated person for your family that will pick up your Turkey and other goodies. You may also call 888-902-3011, ext. 9133 to RSVP. Chicago, IL-On October 26,2018, Glen Lerner Injury Attorneys sponsored the Raising Awareness, Saving Lives event presented by the Chicago CAPS organization. This event, held at the Sherman Park Auditorium, brought local speakers, performers, chair massages, and so much more to the local community while bringing awareness to Domestic Violence and Breast Cancer. Those attending the Raising Awareness, Saving Lives event were encouraged to wear pink and purple in support of the causes. There were over 100 people in attendance. The Chicago Alternative Policing Strategy (CAPS) is Chicago’s newest weapon against crime. The CAPS organization cooperates with the community to reduce crime and also, promote a tighter kinship with the communities they serve. What makes CAPS so innovative? It brings the police, community, and other city agencies together, to identify and solve neighborhood crime problems, rather than simply react to their symptoms after the fact. And new technology to help police and also residents target crime hot spots. Glen Lerner Injury Attorneys know how to put passion into every case they handle. For over two decades, Glen Lerner has been a powerhouse in personal injury claims. Glen Lerner and his team of personal injury attorneys have become one of the largest personal injury firms in the country, with over 50 attorneys and nearly three hundred employees located in Illinois, Indiana, Nevada, Arizona, and also, California. Missed the Raising Awareness, Saving Lives event? Interested in what we’re doing?  For current updates regarding legal topics and their community involvement and contributions, follow the law firm on Twitter. You can also like their Facebook page. So, don’t wait and contact us today. 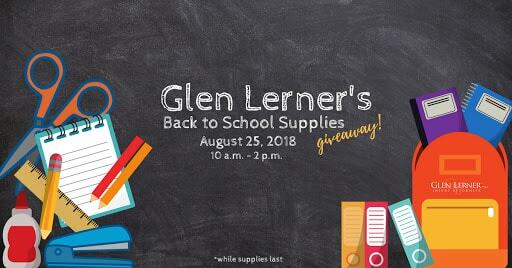 Glen Lerner Gives Back is excited to announce our support of local youth with our Back to School Events in Illinois! Come see us in Chicago on August 25th, at the Chicagoland Christian Center located at E. 103rd St., 60628. The party starts at 10:00 a.m. and will last until to 2:00 p.m.
We will be partnering with Chicago Cares to provide backpacks filled with school supplies to community children during both events. But, you’ll want to show up early as there is a limited supply available. Additional items will be available to give away while supplies last. Children must be present and accompanied by an adult to participate in giveaways. “Nothing is more important to a child’s bright future than a good education. A proper education can open doors in a child’s life that would otherwise go unnoticed. Access to necessary supplies can make all the difference in the quality of a child’s schooling. We want to do our part to ensure that the future of our community has all the tools they need to achieve their maximum potential and brightest future,” says personal injury lawyer Glen Lerner. Join us and take part in our efforts to supply the future. For over two decades, Glen Lerner has been a powerhouse in personal injury claims. He and his team know how to put passion into every case they handle. Glen Lerner and his team of personal injury attorneys have become one of the largest personal injury firms in the country, with over 50 attorneys and nearly three hundred employees located in Illinois, Indiana, Nevada, Arizona, New Mexico, Tennessee, and California. Hurt outside one of those states? 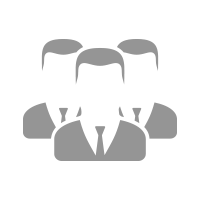 We’ve got you covered with an established network of attorneys across the country that are ready to help. When you’ve been injured due to someone else’s negligence, a personal injury attorney can make the difference between whether you receive a fair amount of compensation for your suffering. Our team is also well versed in social security claims, dangerous product lawsuits, and claims for injuries due to dangerous drugs, such as the diabetes drug Invokana. To find additional information, visit glenlerner.com, or call (702) 877-1500.  For current updates regarding legal topics and their community involvement and contributions, follow the law firm on Twitter (twitter.com/glenlerner) and like their Facebook page (facebook.com/glenlernerinjuryattorneys). Regardless of your religion, Vacation Bible School can leave a positive impact on your children. Glen Lerner Gives Back is excited to announce our sponsorship of two days of Vacation Bible School for Chicago area youth. This program targets children between the ages of 5 to 18, and seeks to provide them with a wholesome and enriching alternative to spending their summer in the streets. The entire Vacation Bible School event takes starts on Monday, June 25th through the 29th at King’s Dominion International Church located at 11625 S. Ashland Ave, in Chicago, IL. Each day of activities will begin at 10am and conclude at 2pm. Glen Lerner Gives Back will be sponsoring the event on Thursday, June 28, and Friday June 29. Vacation Bible School is a summer camp style program that aims to instill Christian morals and valuable life lessons into youth. They do this through fun and activities in a more relaxed environment than typical church services. This year’s theme is “Stay fit, Stay healthy, Stay strong.” Activities at King’s Dominion for the week will include field trips, culinary classes, basketball, kickball, arts and crafts, fun education through Bible characters and stories, and so much more! Breakfast and lunch will be provided for participating kids every day of the event. Even more exciting, we will be holding a bar-b-que on Thursday and Friday. And a game-truck will be present on Friday to provide unlimited amounts of fun. 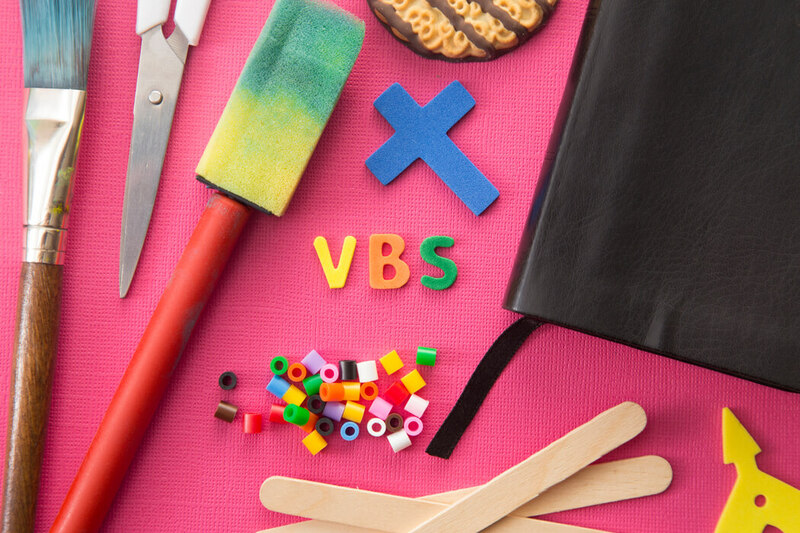 There’s no cost for Vacation Bible School, and you don’t have to be a member of the church. So, bring your kids to enjoy some family-friendly fun this week! Regardless of your religion, Vacation Bible School can leave a positive impact on your children. “Vacation Bible School can be a great summer experience for any child, despite religious views. It provides an opportunity got children to learn, socialize, and have fun in a relaxed, but wholesome environment. We are so pleased to be able to support this noble cause,” said attorney Glen Lerner. Over the past two decades, Glen Lerner Injury Attorneys has been helping people with personal injury and dangerous drugs claims. With over 50 attorneys and nearly three hundred employees located in Nevada, Arizona, California, Illinois, and Indiana, Glen Lerner Injury Attorneys has grown into one of the largest plaintiff’s personal injury law firms in the country. Additionally, the Glen Lerner team is willing and able to help those hurt outside of states where the firm practices through their network of relationships with attorneys across the country. The firm can also be of help with dangerous product lawsuits, such as talcum powder ovarian cancer cases and diabetes drug Onglyza heart attack claims, as well as national social security claims. For additional information, visit the website at glenlerner.com, or call any time at (708) 222-2222. Find the law firm on Twitter (twitter.com/glenlerner) and like the Facebook page (facebook.com/glenlernerchicago) for current updates regarding personal injury topics and community contributions and involvement.